Former Universal champion Roman Reigns is currently battling a remission of leukemia due to which he remains to be sidelined ever since relinquishing his title last year in October. World Wrestling Entertainment (WWE) former Universal champion Roman Reigns is currently battling a remission of leukemia due to which he remains to be sidelined ever since relinquishing his title in October last year. During the face which led to his temporary retirement, Reigns was at the top of his game and he had defeated Brock Lesnar. While his former colleagues confirmed the improvement of his health, Reigns kept himself occupied with a new project – a movie alongside Dwayne Johnson in his upcoming movie ‘Hobbs and Shaw’. Dwayne took to social media to share a picture where he and Reigns were dressed in traditional Samoan attire. 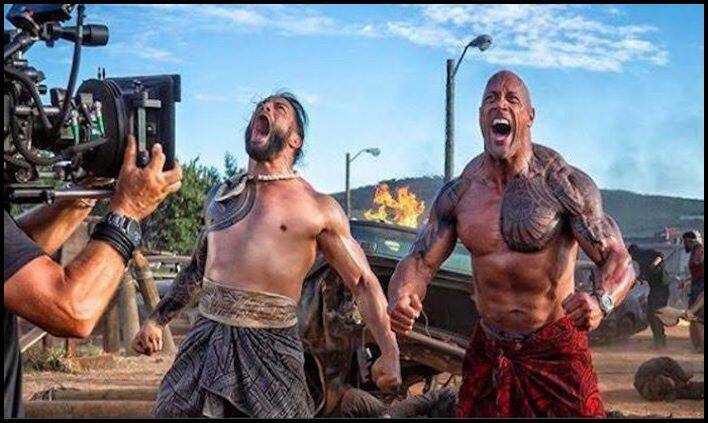 ‘The Rock’ also revealed that he is proud of his cousin, who will be making his debut in the big screen as his brother- Luke Hobbs. The former legendary WWE wrestler tweeted that it was great to have his cousin play his brother. Dwayne also revealed that Reign’s state of mind is at a new level with his Leukemia recovery.